Anne Ruhlmann : "Cette activité est la suite de About the squares et s'est réalisée dans les mêmes conditions pour l'autre moitié de la classe." How many white pawns are there? 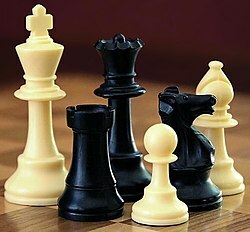 How many black pawns are there? How many pawns are there in total? How many other white pieces are there? How many other black pieces are there? How many pieces without the pawns are there? How many white pieces are there in total? How many black pieces are there in total? How many pieces are there in total?